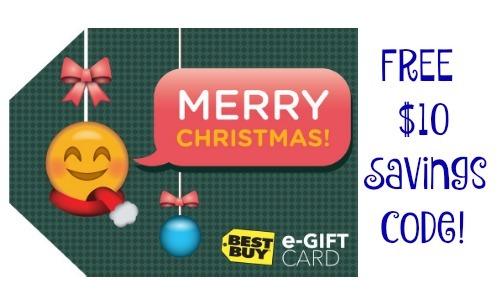 You can get a FREE $10 savings code at Best Buy when you purchase $150 or more in Best Buy eGift Cards. The code will be sent via email on 1/1 and will be redeemable in-store and online through 1/22. This promotion is limited to (1) transaction and a maximum of 3 savings codes totaling $30 per customer.